There is nothing worse than having cold hands right? Gloves can be a life (and hand) saver when it the temperatures start to dip and you find yourself with cold hands. 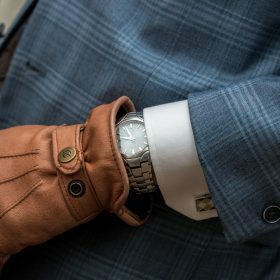 From driving gloves made from smooth leather to wool gloves that offer the perfect fit, there are so many different types of gloves on offer here at Fashiola. Looking for a particular material, size or brand? Make use of the filters to find exactly what you are looking for.